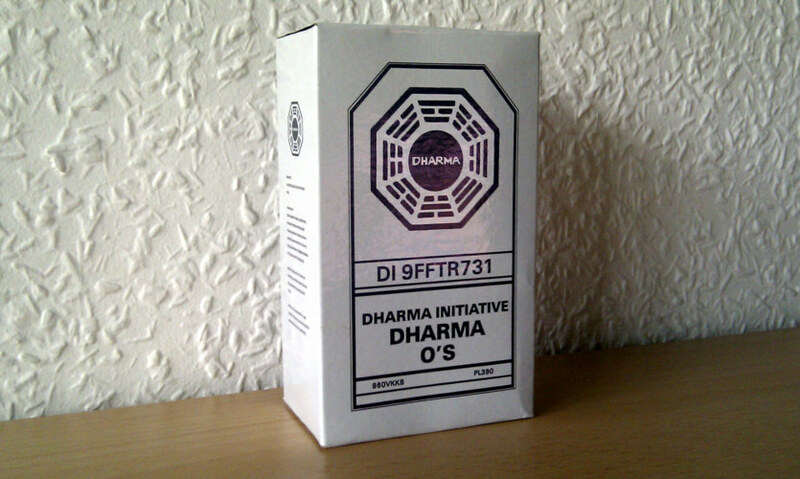 Authentic, screen-used prop from the LOST show. 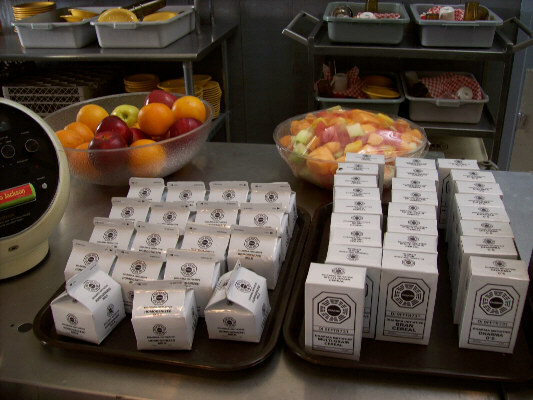 The Dharma cafeteria with adjacent kitchen is located in a large building, in the southern cluster of the barracks. 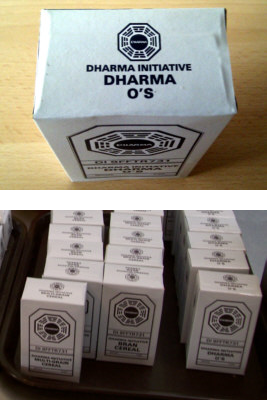 The Dharma Initiative DHARMA O'S cereal box is seen among others in the background in a scene in 1977, where Kate, Hurley and Jack are sitting together inside the cafeteria. As seen in S5E10 - He's Our You. The box is sealed and even contains some kind of filling material, the size is 2.8 x 1.8 x 4.7 inches. 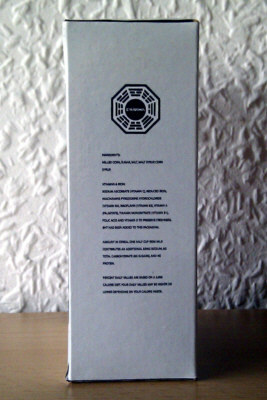 I purchased this prop along with some more items from a LOST Film Crew member. 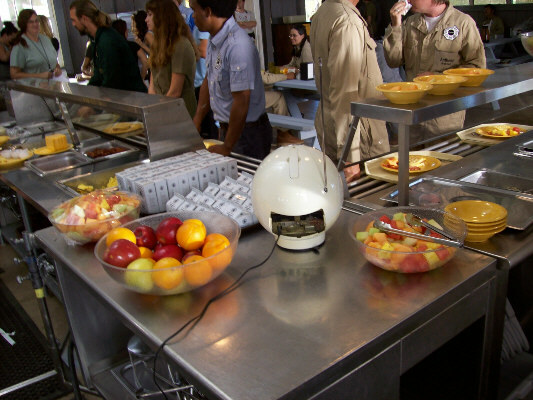 Kate, Hurley and Jack talk in the cafeteria. ... on a tablet in the background.